There is a Troop Meeting this Thursday (12/07/2011) where we will be having SPL elections. If you cannot make the meeting, let Ben Bu or Mitch know what job you would like to hold and include a statement of interest (why you want it, what you intend to accomplish, etc…keep it short). 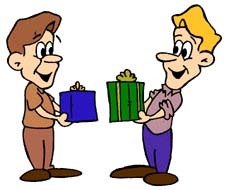 Gift Exchange: Bring a gift up to $5 value (Scouting related) to the meeting and exchange for another. Bring a gift and you get a gift, adults and sibs included. Also, bring cookies or a treat to share at the end of the meeting. Summer Camp for next year is at Camp Pigott (Chief Seattle Council), sister camp to Parsons. Pigott is up by Monroe (2 hrs away) and will be a great camp. Commitments are due now, we need to send in $25 per person in January 2012. You can RSVP on the Troop Website. Bring your $25 to the meeting and give it to Mike (the Treasurer)!